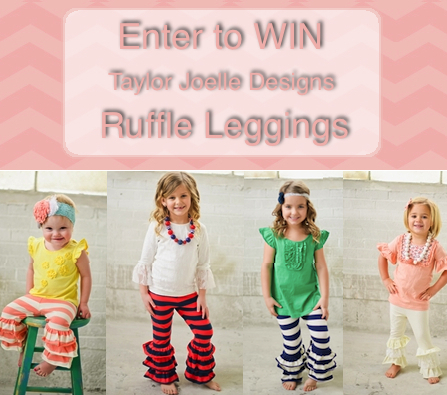 Our popular Ruffle Leggings are back and available in more styles! These are now available for pre-order and will be in stock by the end of April. These leggings are a Taylor Joelle “best seller”. Our customers have raved about them. They will get compliments anywhere your child goes. Made of high quality knit fabric. Sizes range between 18 months – 10 years depending on the style. Please use the rafflecopter form below to enter. Must be 18 years old. Open to residents of the US & Canada.